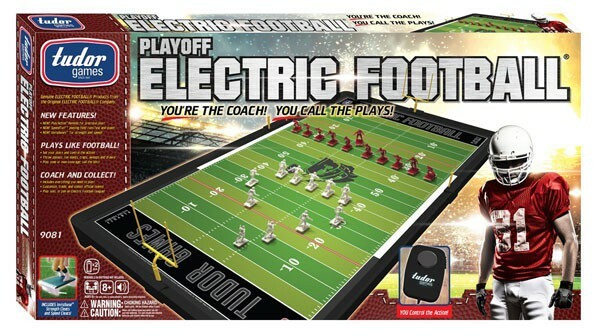 The world’s favorite football game, now even better! 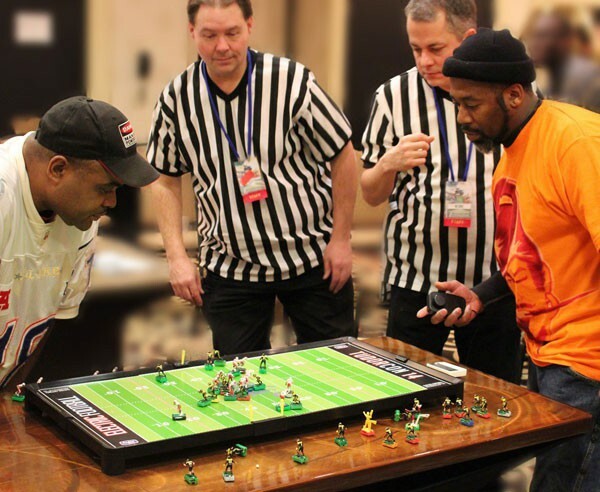 Two teams of 11 football action figures move as you command on a fully detailed scale model football field. 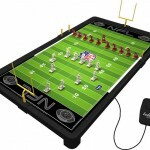 Set your plays and compete head-to-head or play solitaire-style. 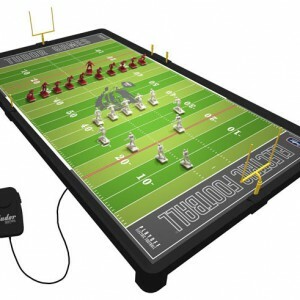 Newly redesigned, this complete set features a SpeedTurf full color playing field paired with a FieldDrive Motion Generator. 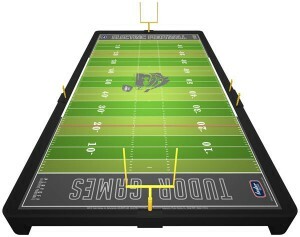 A sliding yardstick marker on one side of the playing field marks the line of scrimmage. Two sliding yardstick markers on the other sideline make it easy to see and manage first downs. Goalposts are perfectly positioned at the back of the end zone, easy to remove and replace in seconds when you need space to complete a pass! 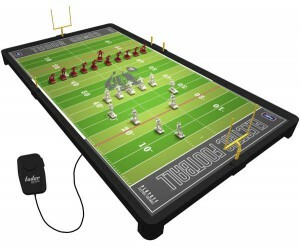 Tudor SpeedTurf games are quieter, safer, and play better than anything you’ve ever seen. 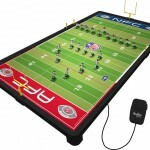 Plus, there’s a new handheld PlayAction Remote so you can control the start, the stop, and even change the speed of play, during a play, without touching the game board! We saved the best for last: every new Tudor SpeedTurf game comes complete with 12 sets of Invisibase Strength Cleats and 12 sets of Invisibase Speed Cleats, our new bases that run strong and straight, right out of the box. Put these cleats on your players and they seem to glide across the field. These completely redesigned bases are TudorCON tournament tested, easy to adjust, and give you complete control of player strength and routes. 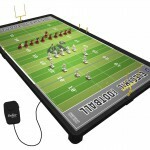 Throw passes, run slants, traps, and sweeps! Play zone or man coverage, call the blitz!